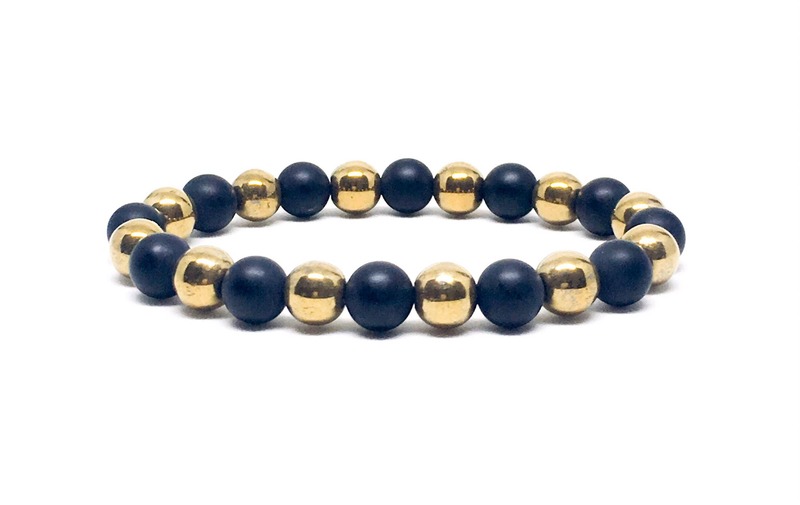 Beautiful piece with a touch of Gold Hematite and the Matte Onyx for a nice look. The beads are 8mm and a very strong elastic string. This bracelet comes with a customized Sill Suede jewelry bag with our logo.